This is the perfect gift for aviation enthusiasts in Sydney! A 30-minute or 60-minute combat flight simulation in a virtual FA18 Super Hornet is sure to put a smile on their face when they unwrap their gift. 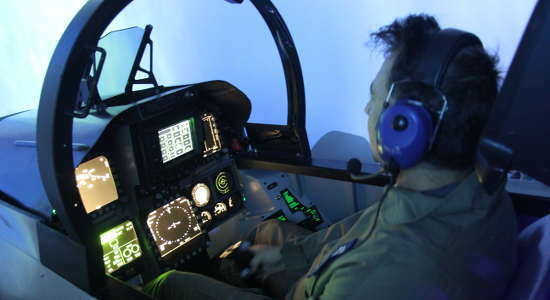 Choose to gift a 30-minute or 60-minute flight simulation online today for an upcoming Sydney occasion. Give the gift of flying a Fighter Jet without leaving the ground in this FA18 Super Hornet Flight Simulator gift voucher experience! Buy a voucher today. 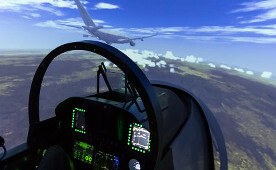 Give the gift of flying a Fighter Jet without leaving the ground in this FA18 Super Hornet Flight Simulator gift voucher experience!